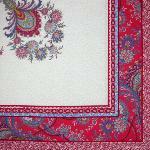 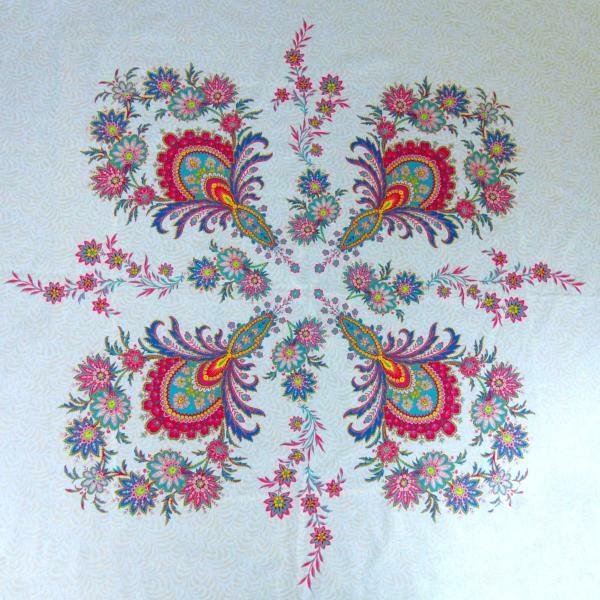 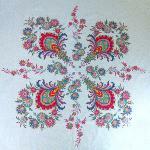 Square Cotton Tablecloth Raspberry pattern Haveli" 63"x63"
Beautiful Square Cotton Raspberry Tablecloth -Haveli. 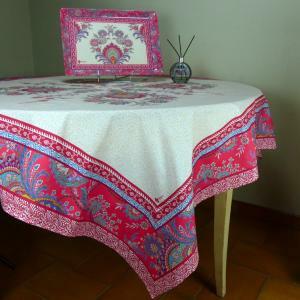 Beautiful bordeRaspberry Square Cotton Tablecloth, made of 100% pure cotton and high quality dyes, is a wonderful idea to bring an elegant French touch to your home decoration. 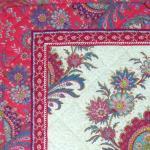 Raspberry Tablecloth "Haveli" is an illustrative example of cultural transition from seventeenth century till nowadays driven by constant evolution and knowledge. The surprising combination of the gorgeous Havelin design perfectly matching with French country pattern and the trendy color palette allow you to create multitude arrangements for your table settings.